There are many gorgeous beaches in Grand Cayman that you can visit. The most prominent is Seven Mile Beach which is a wide stretch of beautiful white sand that offers numerous amenities and excellent swimming, as well as snorkeling opportunities. Other beaches such as Starfish Point offer excellent marine life viewing while you stand, swim or snorkel in the shallow waters. You can visit Spotts Bay Beach for a different aspect of the tropical landscape with big cliffs on each end of this white sand beach. Whether you are looking to swim with turtles, starfish or just relax in paradise there is the perfect sandy beach for you to visit. Scroll down for the map of the best Grand Cayman beaches! Joining the movers and shakers is something to do in Grand Cayman and Seven Mile Beach is the place to do it. This spectacular Grand Cayman beach ranks amongst the best in the world. It is filled with luxury resorts, fancy condominiums, restaurants, beach front bars and clubs. Stroll along the beach, soak up the ambiance and do some people watching. If you want to get into the water there are artificial reefs offshore for snorkelling. You can also take part in water sports like kayaking, jet-skiing and paddle boarding. For something more relaxing, just bob around on a beach float while you get a suntan. You can rent your equipment from the water sport shop on the beach. When you are done, settle down in a comfortable deck chair under a palm tree and order an exotic island cocktail and a bite to eat from the waiters on standby. This is a fabulous thing to do in Grand Cayman in the lap of luxury! 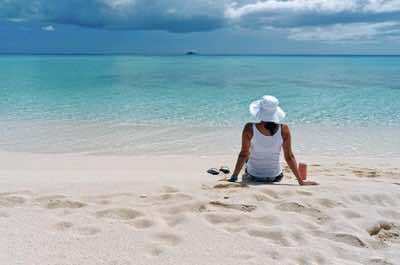 Getting away from the glitz and glamour of Seven Mile Island for a while offers a great activity in Grand Cayman. 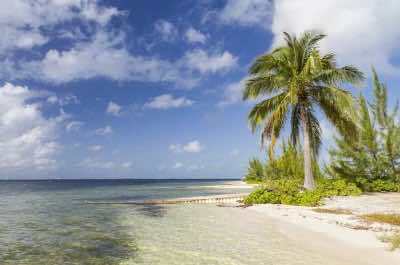 Head off to a stunning laid back Grand Cayman beach called Rum Point, located on the north shore. The vibe is relaxed and restful with pristine white sandy beaches, azure blue seas and green palm trees. Relax in a hammock and soak up the views. Order an exotic cocktail called a Mudslide and sample some of the Islands traditional eats. The water is calm and shallow, making it ideal for families with small children, where they can play and splash on the sea shore. If you feel more adventurous, swim deeper out and try some snorkeling. The underwater marine life is beautiful. Water skiing, sailing and diving is also available for those who can't sit still on dry land for too long! Grand Cayman is known for its pillow cushion sea stars. These strange creatures look like little stuffed star fish with plump bodies and come in a amazing array of colours. Starfish Point on Grand Cayman is the place to observe and see these interesting creatures. Head out to the north eastern tip of the bay where you will find the well known sand bar that stretches out into water. The shallow waters around the bar form a natural environment for the starfish to breed and live. You will be amazed with gentle currents that do not hamper your freedom of swimming. Starfish Point has a refreshing tropical landscape which offers shade around the stretches of white sand. You can take a picnic and eat on one of the grassy spots at Starfish Point while you gaze out over the beautiful waters. When you are finished enjoying the gorgeous scenery and marine life, you can stop by Kaibo Beach Bar and Grill for a cold libation. Snorkel in the warm waters and see amazing views not to found anywhere else. You can touch the small creatures, but removing them from the waters is not encouraged. This quiet Grand Cayman beach makes a great getaway from the hustle and bustle of the busier beaches and is ideal for romantic couples and those wanting to relax and soak up the Island's ambiance. Swim, sunbathe and rejuvenate you mind and soul. The Royal Palms Beach of the Royal Palms Beach Club Resort, is a great Grand Cayman beach when you want to relax and have some fun. Located on the southern end of the magnificent Seven Mile Beach, the Royal Palms Beach Club has perfect white sand and is the closet beach bar to the cruise ship piers. Royal Palms Beach has all the amenities needed from great food, a dive shop with motorized and non-motorized watersport equipment for rent, volleyball courts and an adult freshwater swimming pool. At the Royal Palms Beach you can expect fewer crowds when there are no cruise ships in port. You can enjoy swimming at Royal Palms Beach and the clear blue water is great for snorkeling. The Royal Palms Beach has superb dining beachside and at Ristorante Prima where you can have an intimate dinner overlooking Seven Mile Beach. Smith's Cove, also known as Smith Barcadere, is a great Grand Cayman beach located near to George Town and is popular with the locals. If offers a relaxing get-away from the more touristy beaches and is another great activity on the island. 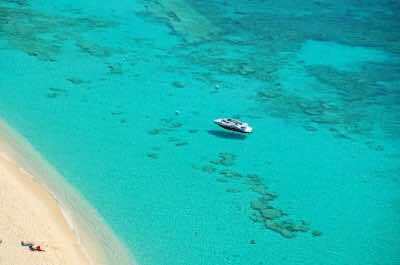 Fabulous snorkeling offers beautiful coral reefs and limestone formations. The beach features picnic tables, making it ideal for a family lunch or a lunch with a group of friends. Relax and soak up the Island ambiance on the white sandy beach. Take a long slow stroll and pick up shells on the rocky outcrops. The water is shallow and is ideal for small children. Near to Smith's Cove is another interesting Grand Cayman beach. 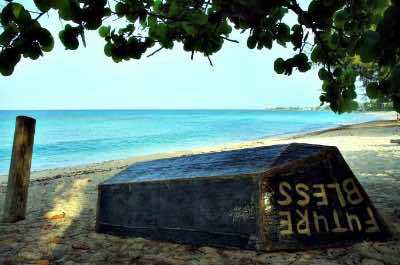 A visit to Cemetery Beach and Reef is a must. This beach is away from the tourist hot spots and offers a quiet and relaxing venue to enjoy the sun, sand and views. It is a bit off the beaten track and you need to take a short hike past a cemetery to get there, hence the name! A lovely quiet venue to spend a day before heading off to Seven Mile Beach for some fine dining and dancing the night away. 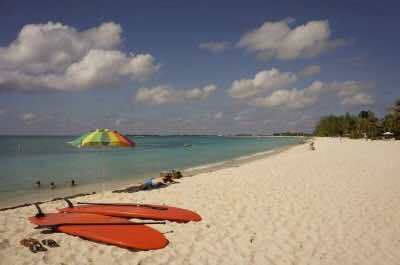 Governor’s Beach is a nice Grand Cayman beach where you can enjoy some superb snorkeling and fun in the sun. Located within a section of the fabulous Seven Mile Beach just north of the Governor’s mansion, Governor’s Beach has ideal white sand and plenty of amenities nearby. 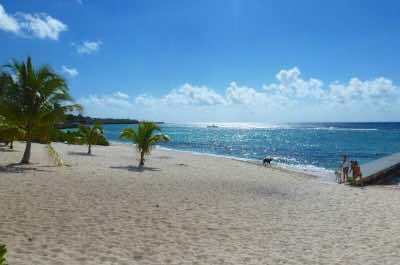 At Governor's Beach you will enjoy incredible snorkeling within the coral reefs which are situated just offshore. You will swim amidst the various species of marine life which are brightly colored and full of life. Governor’s Beach is lined with sea grape trees for shade and has plenty of space for you to relax as well as enjoy a game of soccer. Governor's Beach will have a variety of visitors from locals to tourists and makes for a great mingling experience. If you are hungry then you should try Calico Jack’s or Duke’s Seafood and Rib Shack for excellent island barbeque. Spotts Beach is a perfect secluded Grand Cayman beach which you can enjoy without the crowds while snorkeling amidst sea turtles. Located along the southwestern coastline of the island, Spotts Beach has beautiful white sand and a rocky shoreline which is picturesque. Spotts Beach is a great place for you to spend the day with your family with some of the best snorkeling on the island where you can explore the marine life and swim with sea turtles. Spotts Beach has some trees for shade and even a couple of picnic tables to enjoy your picnic. More than likely you will not encounter the number of tourists at Spotts Bay Beach as you would at other Grand Cayman beaches. Another bonus is the nearby historic sites of the Old Savannah Schoolhouse and Pedro St. James National Historic site. If you are hungry then try Seaside Paradise Restaurant for incredible jerk chicken and a cold libation. Photo by Jay Colbath on Flickr. 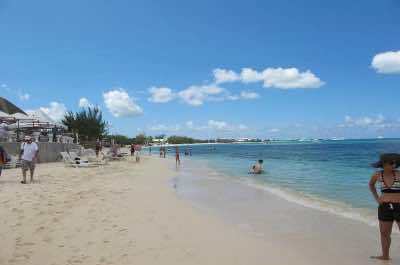 Tiki Beach is a spectacular Grand Cayman beach with great amenities, swimming and snorkeling opportunities. Located on a northern section of the fabulous Seven Mile Beach, Tiki Beach is a stretch of white sand with shallow coral reefs. This beach offers great snorkeling with several rock formations and coral reefs very close to the shoreline but this also makes swimming challenging. Tiki Beach is popular with cruise lines guests and can be busy at times. One benefit is that you can rent all types of motorized and non-motorized watersport adventures directly on Tiki Beach. Tiki Beach has plenty of restaurants including the Tiki Beach Restaurant where you can lounge and enjoy a nice island-style lunch or at Calico Jack’s Bar and Grill for innovative seafood.